I've often said that "Roses are not among my favorite flowers, " but that doesn't negate that fact that i do think they are pretty and smell decadent! Some wonderful back-lighting on the right -- well done. Nicely done. You had good light. 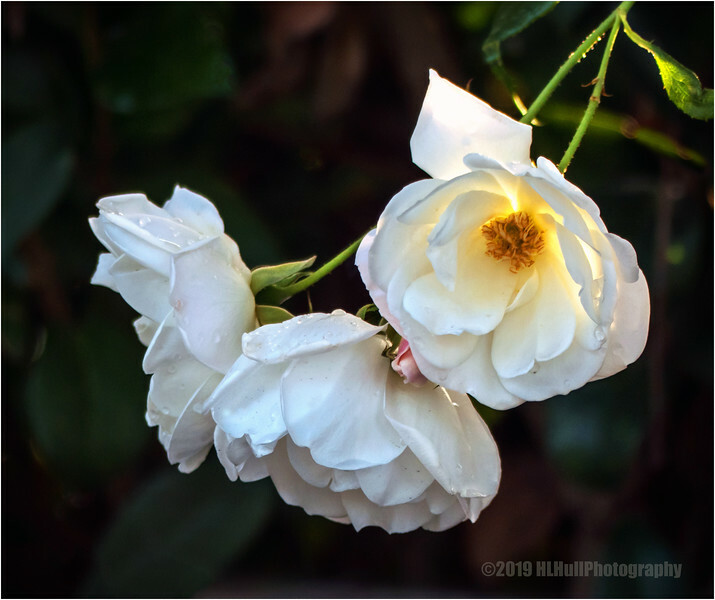 Lovely ray of sun coming through the white rose--great composition.